Manny Pacquiao has revealed he is involved in ongoing negotiations with Floyd Mayweather Jr about a rematch – and he expects to be able to update fans in as little as a week. 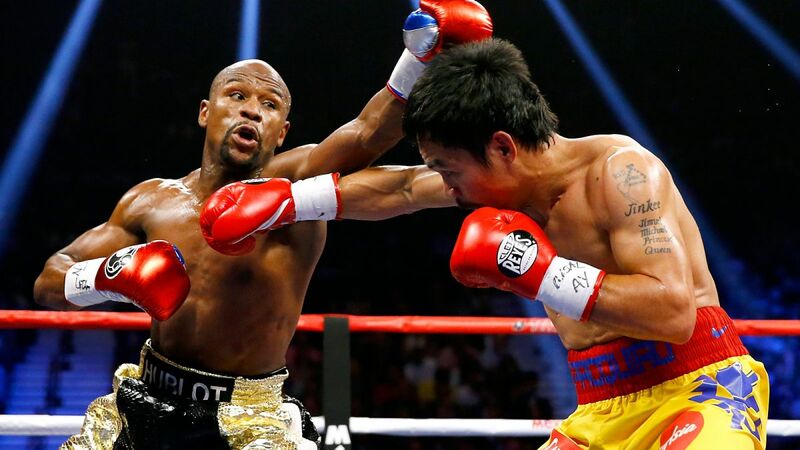 Four years ago Mayweather Jr cruised to a comfortable unanimous decision victory over the Filipino whirlwind, who has been desperately seeking revenge ever since. In the wake of the loss Pacquiao blamed a shoulder injury for the result. Mayweather Jr versus Pacquiao remains the richest prize fight in history with a live gate and pay-per-view sales topping USD$600 million. Speaking to Rappler.com in the Philippines, Pacquiao confirmed he hasn’t given up on the rematch against the retired Mayweather, who has fought just once since 2015. “The negotiations are ongoing. There will be updates one to two weeks from now,” Pacquiao said. The 40-year-old Pacquiao is 7-4 in his last 11 fights with losses to Jeff Horn, Juan Manuel Marquez, Timothy Bradley Jr and Mayweather Jr. Last July he stopped Lucas Matthysse in seven rounds in Malaysia while in January he was extended the 12-round distance by a survival-minded Adrien Broner in Las Vegas. Mayweather Jr, who turned 42 last month, fought a lucrative exhibition bout against kickboxer Tenshin Nasukawa in Japan on New Year’s Eve. His last boxing bout was against UFC star and pro boxing debutant Conor McGregor in August 2017, who he stopped in 10 rounds. McGregor barely won a round.